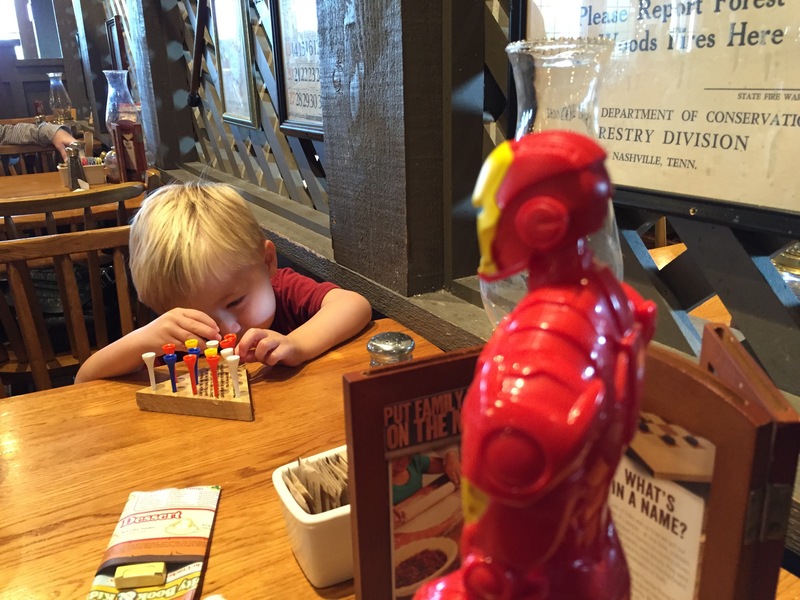 Poor Iron Man…Ian switched to the game. Before breakfast is over, he’ll switch back. Just when you think you have your kid figured out and can make them happy…they switch and want something else. One day it is super heroes and the next it is hot wheels. More accurately, one minute it is super heroes and the next it is legos. You simply never know when the shine of one thing is going to wear off and the focus shift to something new with more sparkles. This is one of the key challenges in business and is multiplied when you are in the technology world. You simply can sit on a static set of services for your customers and clients, you must constantly stay ahead of them with what the next great thing is going to be. If you do this, and pay attention to the mood and business of your clients you can drive this shift to the next great thing by proactively presenting it to them. I have found that even your greatest successes in business will inevitably be short lived and the day will come when “what have you done lately” will come into play. This evolution of business is nothing more than staying in tuned with your clients and their industries to gauge the shifts in their respective cultures. You don’t have to always have the answers, however it helps to know the questions are coming. Even if you don’t know the exact answer, knowing there is a question about to head your way will enable you to prepare for it. I don’t know if Ian is going to want super heroes when he wakes or or if he will want hot wheels. What I do know is where both of them are so I can make the adjustment confidently and swiftly to support the change in focus. We will never know all the answers, knowing how to find them with confidence is often all you need. Next Post What’s in a logo…for a guy that makes logos?